Can I spar with you for a bit? Your organization in good hands with the Chief on Demand. Finding reinforcement for the directorion-/managementteam is not always possible. The job description might not be set in stone yet or the budget is insufficient. What the organization actually needs is someone who can keep an eye on the organization for a longer period of time. When and where needed, this person can work alongside the organization at top level, to resolve any bottlenecks and help the business excel. Someone who can put in flexible hours, whether it’s about structural issues or a recent problem which is hard to plan for. These are the areas where Triceps’s Chief on Demand-service work. The chief is a strategic expert with proven experience on dt- and mt-level as well as on management- or CEO-level and will reinforce your organization. He or she will spar with the managers responsible and work as a fully-fledged member of the team to lead the organization. Hands-on, involved and with a can-do-attitude. The chief will provide solutions that are practical, specific and cost effective and works like a plugin, in other words only when it’s needed. For any requirements outside of his/her area of expertise, Triceps contacts the right people from their network, which will take care of at least one problem in the organization. On request, Triceps delivers trustworthy and strong Chiefs on Demand, part-time or on a project basis, such as the Chief Human Resources Offices (CHRO) for HR issues and the creation of high-performing teams and organizations. Human Resources strategist for creating high performing organizations. A strong organizational culture offers a powerful competitive advantage, especially in times of change. Is the organizational culture well-linked to the direction the business wants to go? There is a great chance that acquisition, growth, product renewals or an intended merger will be successful. Employees form the organizational culture; therefore the biggest managerial challenge is to let everyone contribute to the bigger picture in a way that is as effective and balanced as possible. Pre-eminently this is the domain of Triceps’s Chief Human Resources Organization on Demand (CHRO on Demand). If need be, this trustworthy HR business partner comes in to strengthen the organization, with an attitude of trust and comradeship, and a readiness to get going. This goes beyond advising without engagement: as a business partner, the CHRO on Demand is an active sparring partner on a cultural and behavioral level, who makes decisions and solves problems, functions as a broker to develop talent and relationships. With managing the entire community as his/her main focus, this chief will network, hold team building sessions and resolve conflicts. Also, he or she will coach cultural and behavior aspects. This chief knows what motivates people in their jobs and has the instruments to influence behavior. 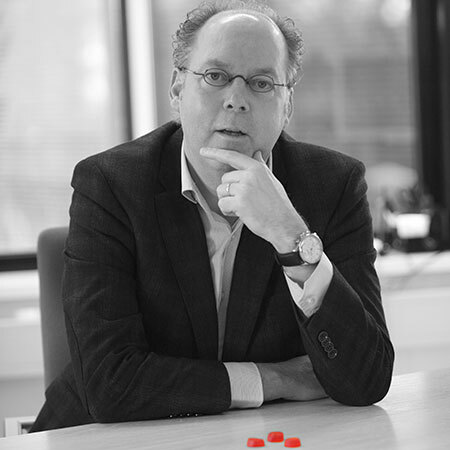 As a sparring partner for CEO’s, management teams or investors, and as a strategist for change processes, Jan Michielsen is the true CHRO on Demand. “Many companies want an HR strategy based on their business strategy. With a clear HR agenda, that is compliant with future developments within the organization. Whether downsizing or expanding, with organizational growth or a take-over, a new product market or a new sales culture: every phase of the organization asks for a new kind of leadership and the CHRO knows how to make that happen. You can’t change a company’s culture just like that, but you can clarify the effect of a decision. We believe in the product and the market and see if the organization is structured in the right way. Our first question always is: ‘Why does your organization want to do this?’, and then we think about the future: maybe you can already get technological experts together, or people from the USA, if that is where your market lies. Often you are a sounding board for the CEO, so that he or she can vent his/her personal motives to someone from outside the organization. The French CEO Henri-Mark Perrin of Internatioal Cellmark consults me depending on the problem. He knows what I can do for him. 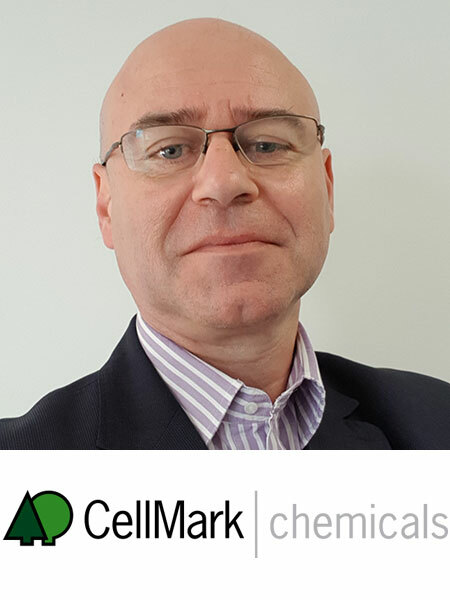 Often it is about advice on organizational changes, but he also asks me to think about separate issues, reward issues or on how to deal with status and ego as an employees’ motives, as well as those of stakeholders in countries where Cellmark is active. I love this company, it gets me inspired too. 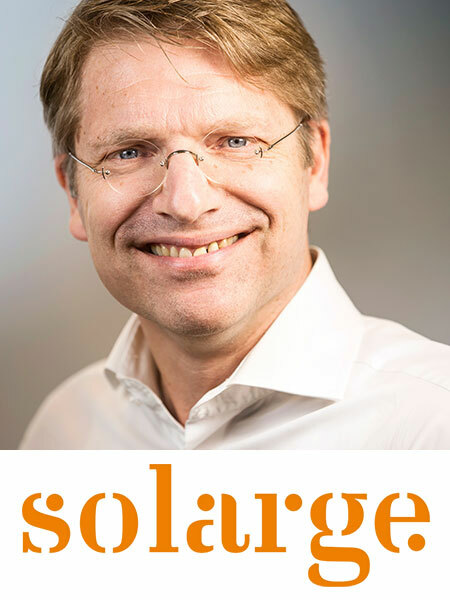 Another customer is Solarge, a scale-up on the High Tech Campus that is developing from a middle/large company into corporate with a great, innovative, energy system. At this moment the organization strategy is one big green field. It’s a privilege to be able to think about the organizational structure during this phase. The building of the organizational culture, together, forming a leadership team from the base up: fantastic! Why do people choose Triceps? We show who we are as a person, and that way build a bond of trust with CEO’s and management teams. We at Triceps understand them, sit with them as a critical coach and think actively with them. We know what keeps organizations busy and are a very good partner in implementation: (team) coaching, search, change management – we can do it all. Through profiling the team, we bring balance to the team and mentor it to a high performance team. ‘CAN DO’ on demand. Ask Triceps! From time to time, organizations, investors and companies in the scale-up phase of middle/large companies want help from a CHRO or CFO, and so increase the service during certain periods of time. The subscription system of Triceps makes the Chief on Demand possible for organizations of every size. Henri-Marc Perrin, Managing Director at Chemicals Cellmark and Jan Vesseur of scale-up Solarge talk about their experiences with Triceps’s CHRO on Demand. Since 2011, Cellmark regularly uses Triceps’s Chief on Demand service. Henri-Marc Perrin, managing director Chemicals Europe, and Jan Michielsen as CHRO work closely together in strategic HRM-trajectories. Time to call Paris and ask Henri-Marc for his experiences. ‘With 700 employees we are a mid-size business unit, where a fulltime HR executive isn’t necessary. But we also are a multinational company, that wants to operate in all seven countries with the right processes, with agile teams and people, and want to manage and support our team and people according to best practice HR standards. That is why outsourcing CHRO is our well-considered choice. Jan Vesseur of scale-up Solarge tells about his experiences in the collaboration with Jan Michielsen as CHRO on Demand. On behalf of the entire Triceps team we would like to thank Jan Michielsen, Jan Vesseur, Henri-Marc Perrin, Joyce Bastiaans from Secure Design and our writers team Brief van de Koning/Lidy Lathouwers and Merel Morre for their inspiring words.